Food-inspired furniture collections are trending at the moment, there are so many mouth-watering creations and any of them will definitely help to add an eclectic touch to any living room. Don’t believe me? Take a look at our editor’s pick, from hot-dog sofa to humberg chair, from french fry bed to muffin pouffe… Can’t say any more, I just feel so hungry now. If you like these quirky design and want to express your love for food in a unique way, try to take something like below home. But trust me, don’t take too much otherwise it will be such tough thing to keep yourself in shape. 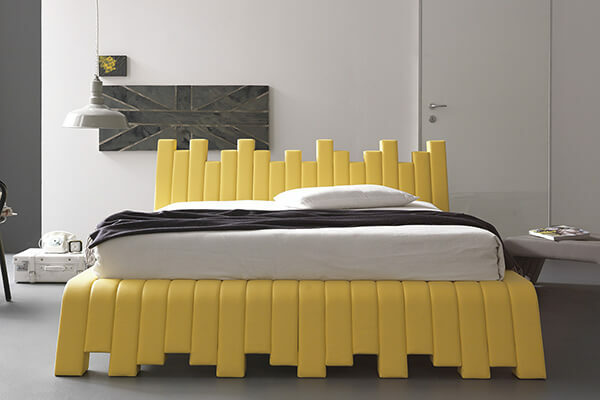 It is a luxurious seating puff with hidden storage space from Italian designer Matteo Bianchi. 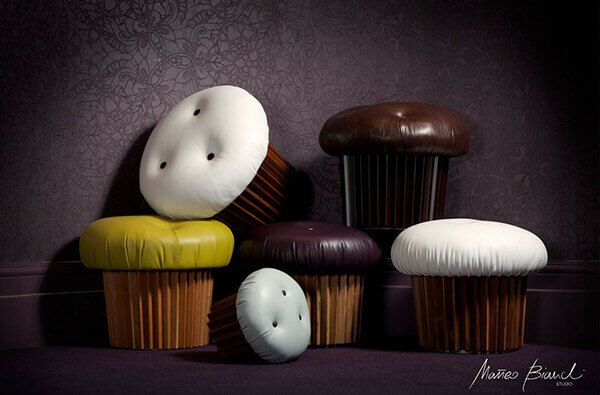 This seating unit is a must have furniture in homes of muffin lovers. 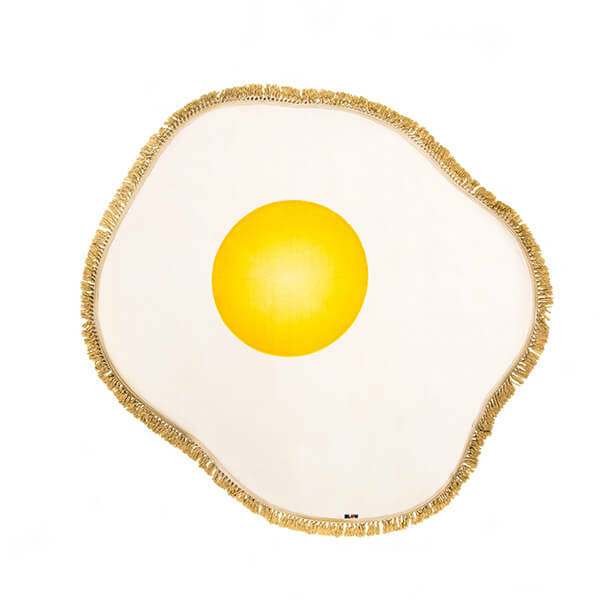 If you wonder how it feels by standing on top of food, this egg rug is definitely for you. After the hot dog, burger and egg, maybe it is time to have some fruit/desset? 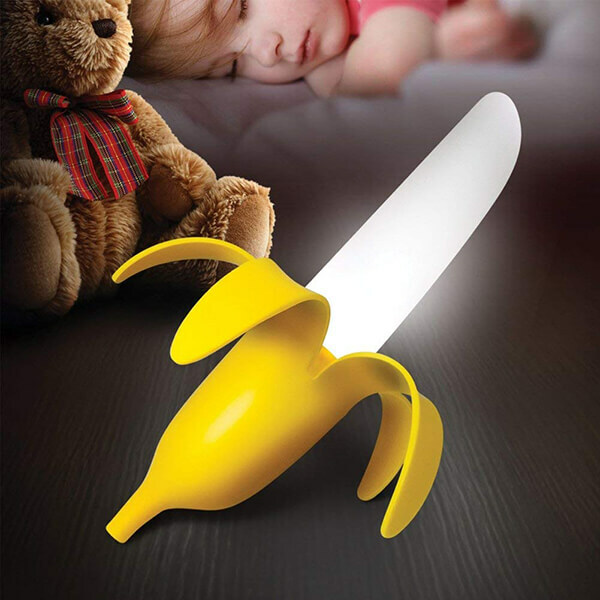 Then you should try this delicious banana lamp. Stands on its own accord and totally portable. Such a great gift for cheeky monkeys or damn dirty apes. Broccoli, tomato, eggplant and pepper, what else shapes of cutting boards you want? 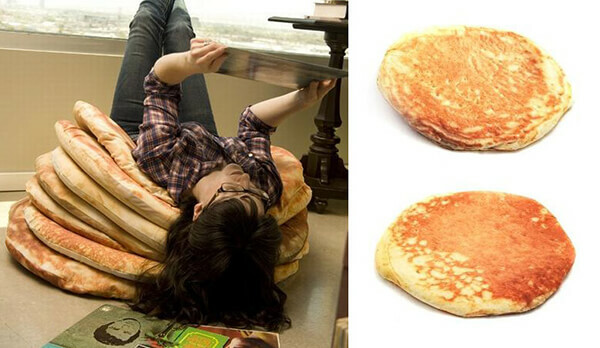 Designer Todd von Bastiaans has made flapjack lovers some very cool floor pillows that look good enough to eat. These stackable flapjacks are constructed from upholstered 2″ Tempurpedic-type foam and feature realistic digital printing. I definitely can’t sleep on this bed, no matter how comfortable it is. Because I will feel so hungry if I sleep on this frech fries bed. 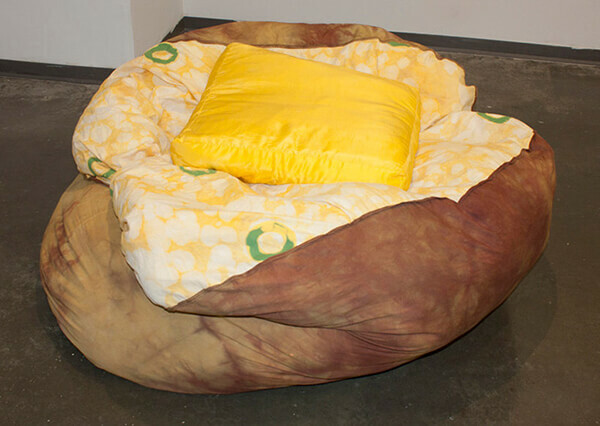 his fun bean bag chair looks like a massive, realistic baked potato complete with a pat of butter satin pillow. When not lounging on this giant soft spud, it also doubles as a sculptural-ish decorative oddity. Hmm, now I am super hungry now. Ice-cream cone bean bag is designed for relaxing in style, meanwhile thinking how many scoops of ice-cream you’ll have after your meal. 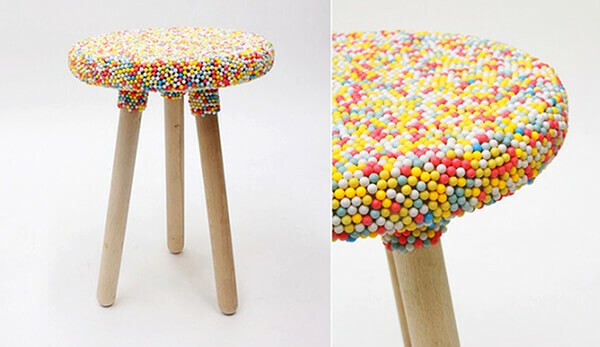 Designer Kirstin Overbeck has created sweet candy-coated stool. Definitely can’t have that in my home, otherwise my 3-year old will keep licking it. Debuting at Maison et Objet in Paris, the Hot Dog and Burger seats, designed by Studio Job as part of the UN_Limited Editions, are appropriately topped with tomato slice and pickle pillows. This just looks like a giant blow of smarts… so yummy. 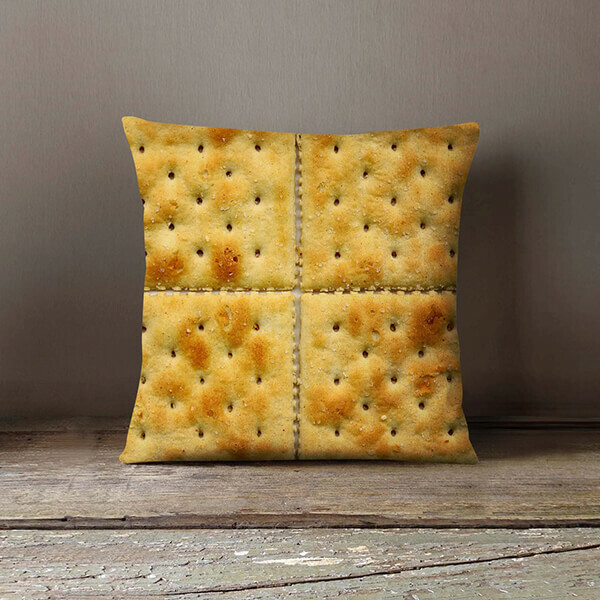 You need some food on sofa… salt cracker is good.